Benjamin Hunter plays a dual role within Caveon’s technology division. In his capacity as Technology Product Manager, Benjamin’s primary responsibility is to direct development of Caveon’s technology products in response to perceived market needs. 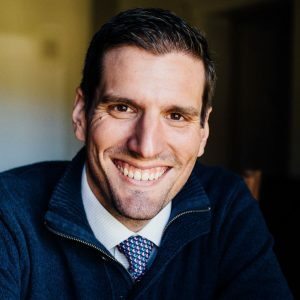 As Caveon’s Vice President of Sales, he functions as the client-facing brand representative, and is directly responsible for all aspects of client intake, configuration, implementation, and ultimate satisfaction. Benjamin brings a wealth of experience to his position at Caveon. Prior to joining the Caveon team, he began his career in the testing industry with the Pharmacy Technician Certification Board (PTCB) where he developed PTCB’s security program from scratch, and was responsible for the ongoing management and administration of PTCB’s program to ensure exam validity, reliable results, and a secure, consistent testing experience for candidates. His expertise in test development was acquired as the Senior Manager, Test Development and Maintenance at the Conference of State Bank Supervisors (CSBS), where he was responsible for oversight of all aspects of development and maintenance of the SAFE MLO exam program for Mortgage Loan Originators. Benjamin has served previously as an officer on the ATP Security Committee (ATPSC) and was involved in the creation of the 2015 publication of the ATPSC’s “Legal Protection of Assessment Content” document, as well as serving as the lead analyst for the ATPSC 2015 Security Survey, published Q4 2015. He has presented at numerous industry conferences and was a speaker for the 2016 ICE Live Webinar series, where he presented on the creation and maintenance of a security plan for testing programs. Benjamin is committed to matching clients with cutting-edge technology that will meet their individual program needs and to spearheading a push for new and innovative technology designed to benefit and protect the testing industry in the future.